BACKGROUND: The role of bony pelvic anomalies in bladder exstrophy is long established and has generated many papers addressing walking problems. Biomechanical studies and kinematic gait analysis were performed on very young children. AIM: A direct kinetic gait evaluation has never been performed, nor has the effect of pelvis dimorphism on the upper body been studied. SETTING: Outpatients were studied at the time of periodic follow up. POPULATION: Nineteen patients with bladder exstrophy, age 14±8 years, and twenty-five healthy control participants, age 15±8 years, were enrolled in the present gait analysis study. 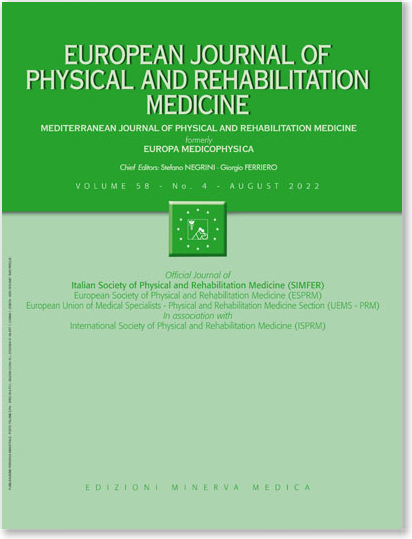 METHODS: Clinical evaluation and standard gait analysis were performed. RESULTS: Gait analysis deviations between exstrophy patients and controls and between patients that received pelvic osteotomy (OT ‑ 6 patients) and those that did not (no-OT ‑ 13 patients) were analyzed. Bladder exstrophy significantly affects kinematics and kinetics of trunk, spine, pelvis, knee and foot; in particular: in OT, trunk retroversion, pelvic retroversion and rotation, hip adduction angle and moment, knee flexion and its maximum power during loading response increased, whereas in no-OT, spine angle, pelvic posterior tilt, hip extension, and the external rotation of the foot progression angle increased. All the kinetics parameters analyzed in the study showed lower values in the patient group than in controls. CONCLUSION: Walking in patients with bladder exstrophy is accomplished by retroversion of the pelvis and deviations mainly in the spine angle in no-OT and in knee flexion in OT. CLINICAL REHABILITATION IMPACT: Gait analysis was shown to be an effective tool for the detection of walking deviations that should be identified early, prompting rehabilitative treatment in order to prevent spine and knee diseases.